MEPs on Question Time, over a 5 year period, 35 MEPs appeared, all anti EU fanatics (33 UKIP 2 Tory). Where were the knowledgeable pro EU MEPs? The UK is in a political mess. It is more deeply divided, more confused and more misinformed than at any time in my life. I lay the blame for this in large part at the poor quality of our media. The decline in how the BBC covers news and current affairs is of particular concern. I’ve given up with their TV and radio reporting of serious issues, and only scan their website to see what issues they are prioritizing, rather than with the expectation of really learning anything. How our relations with the rest of Europe have been covered has been dreadful for decades. The above graphic shows the number of MEP’s on the BBC’s flagship Question Time programme over a five year period. All thirty-five times MEP’s appeared on the programme they were anti EU fanatics, thirty-three from UKIP and two anti EU Tories. Most of these anti EU MEPs don’t even turn up to debates and are staggeringly ill-informed and prejudiced. For decades the voices of people who have a deep understanding of the complexities, strengths and weaknesses of the institutions of the EU have been systematically silenced. I’d love to see Molly Scott Cato, the Green Party MEP for the SW England, given as much TV exposure as Farage, then the public would have much better understanding of the real issues. It’s not just the Greens who have some good MEPs who actually have a lot of knowledge of and respect for the EU. All parties, bar UKIP, have such people; it’s just that the BBC and much of the rest of our media ignore them. George Monbiot wrote an interesting article in the Guardian about how the media like to portray politics as an individual psychodrama. This focus on a ‘cult of personality’ prism through which to view politics obscures the real issues and the impact they will have on ordinary people. In terms of the Brexit debate all the media focus is on will Theresa May survive, will Boris Johnson, Jacob Rees Mogg or Jeremy Corbyn be the next prime minister. If Brexit does indeed go ahead it will affect the lives of all of us in the UK in deep and profound ways, which quite frankly are more important than who happens to be in number 10 Downing Street. One error that the BBC has made is to think that having two opposing views represented is necessary to reflect balance. Over the years every time climate change was discussed they would invite a so called climate sceptic to counter the position of a climate scientist. This distorts reality. Equating someone from an oil industry spin machine dressed up as a ‘think-tank’ and giving it equal weight to someone expressing a factually well informed view of scientific reality is ludicrous. Again, with Brexit, the BBC seems to think it is OK to have someone spout things that are simply factually wrong, as long as at some other point in their programme they have someone else putting a different point of view, even if that too is factually wrong. The job of journalism is to speak truth to power, and this is something the BBC and much of the rest of our media seem to have lost sight of. Whether it is the breaking down of the biosphere, the self inflicted calamity of Brexit or any other serious issue, public understanding of the issues if often woefully poor, and for that the BBC and the media must take some of the blame. This entry was posted in Climate Change, Media, Politics on 17 December 2018 by Richard. I’ve just finished reading ‘In the eye of the storm’, the autobiography of Sir John Houghton, the former head of the Intergovernmental Panel on Climate Change. As one might expect, he comes across as scientifically rigorous, always prepared to modify his position in the light of new evidence. His utterances on climate change are extremely cautious, and always backed up by the most careful analysis of the peer reviewed literature. Cutting edge science will always be some years ahead of the slow and cautious peer reviewing process. (Some scientists such as James Hanson and Peter Wadhams are prepared speak from the cutting edge.) Sir John Houghton meticulously details the damage done by climate change deniers, often willfully acting on behalf of powerful vested interests. I have in several recent blogs bemoaned the generous coverage given to the barmy army of climate change deniers. It is significant that a couple of days ago the Science and Technology Committee of MP’s have felt impelled to criticize the BBC, Telegraph and Daily Mail for this. In their defense the BBC said in the interests of impartiality they try and represent all sides. If this is the case why don’t they give any time to those advocating major changes to the status quo? I would dearly love the opportunity to present the case for a rapid shift in the economy towards a radically more ecologically sustainable and socially just future. Several people have suggested my ‘Global Problems: Global Solutions’ evening classes would make great television! In them I express opinions that are well received by large numbers of people, yet seldom heard on our mainstream media. 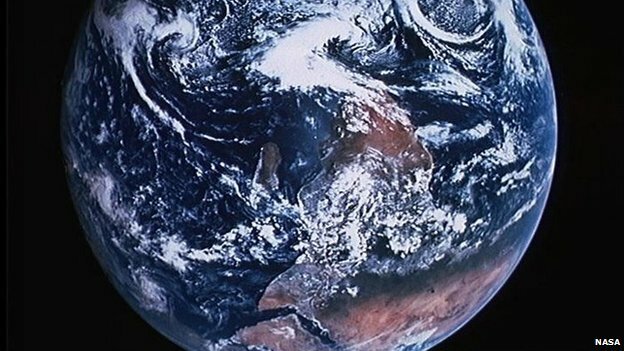 If the BBC really wants to take a balanced approach they should give more coverage to those who understand the threat of climate change, and the matrix of other macro level environmental problems facing humanity, and are advocating fundamental change: political, economic, social and environmental. This entry was posted in Book Review, Climate Change, Media on 4 April 2014 by Richard.